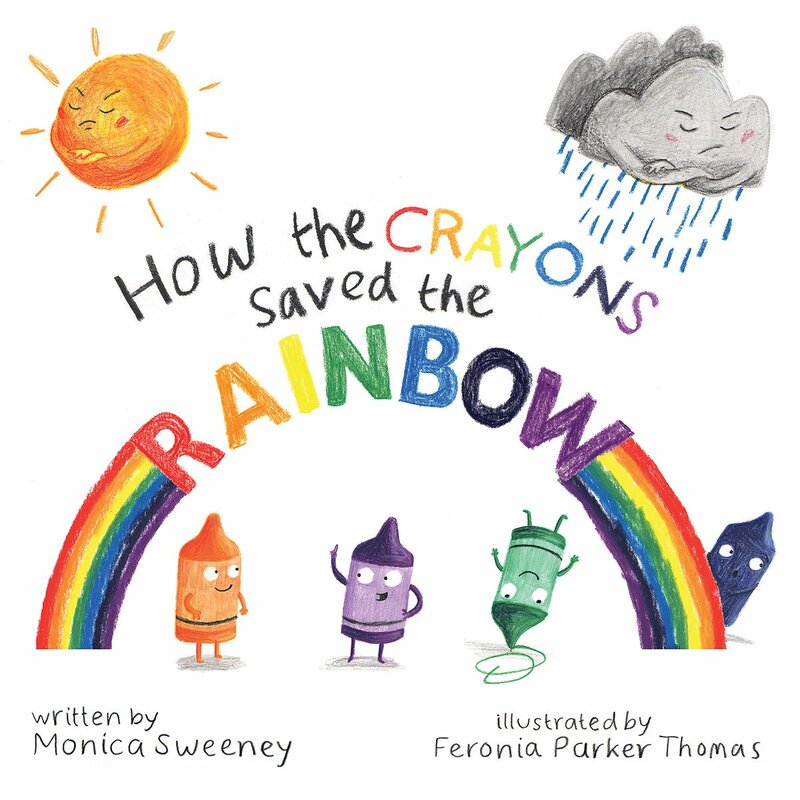 This time I started by reading the book "How the Crayons Saved the Rainbow" to my students. We talked about the colors that we say on the rainbow and about rainbow order in general. 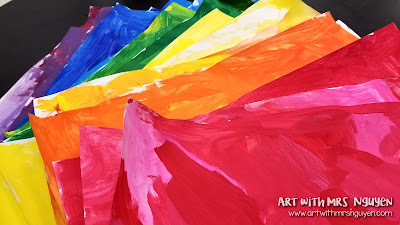 Afterwards students created a piece of textured painted paper with liquid tempera paints and paint scrapers. 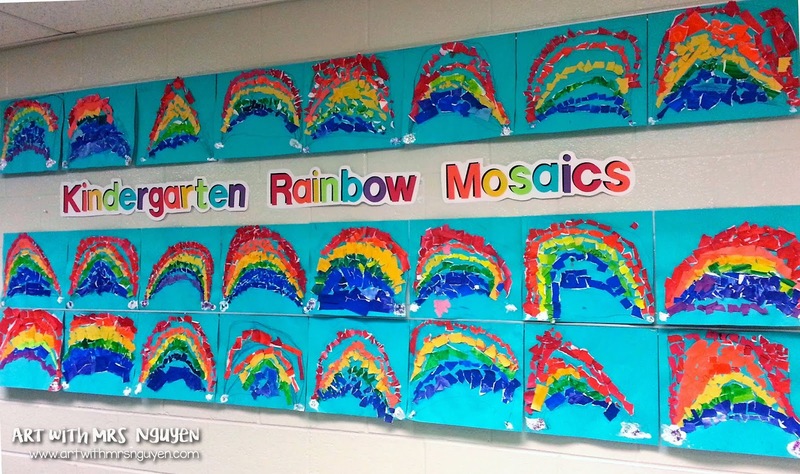 The next day we began by talking about what a mosaic is (and looked at a bunch of fun examples) and then reviewed rainbow order once again. 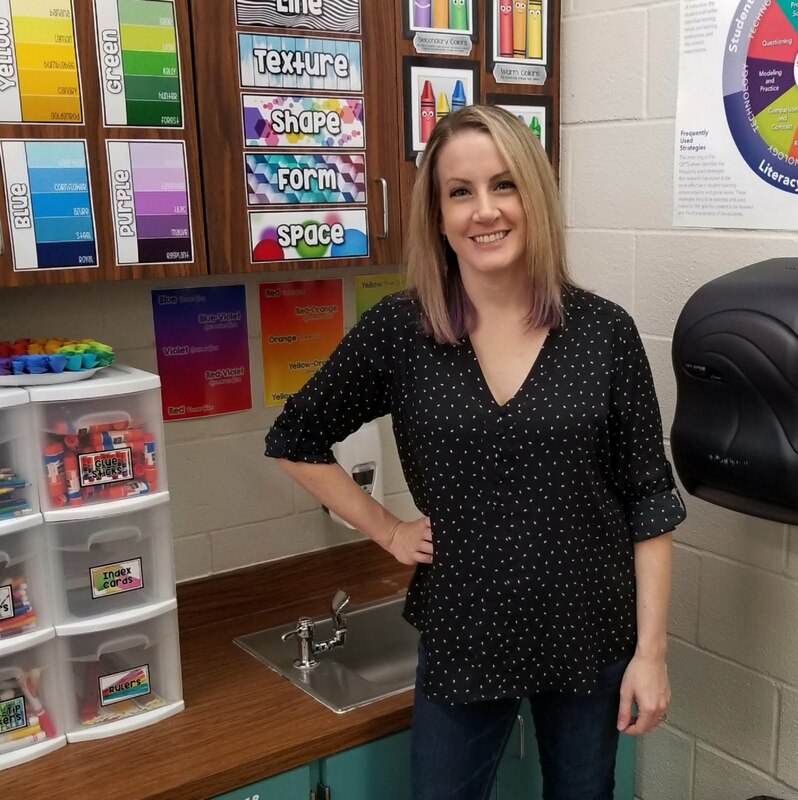 Then each student was given a sheet of 12"x15" blue construction paper and was asked to draw a cloud in each of the two corners and then a tall red line that went from one cloud, all the way to the tippy-top of the paper, and back down to the other cloud. Once this was done I had my students come back to the carpet and I demonstrated how to begin their painted paper rainbow mosaics. Gluing and placing the paper took most of my kinders about 1 1/2 (45-minute) class periods. On the last day once they were done I called each table over one by one to add the finishing touch - puffy clouds! To make the clouds appear puffy, I mixed shaving cream and white liquid school glue together. I wish I could tell you the exact recipe.. but I pretty much just eye ball it every time. If you don't add enough glue the puffy clouds will flatten and flake as they dry. 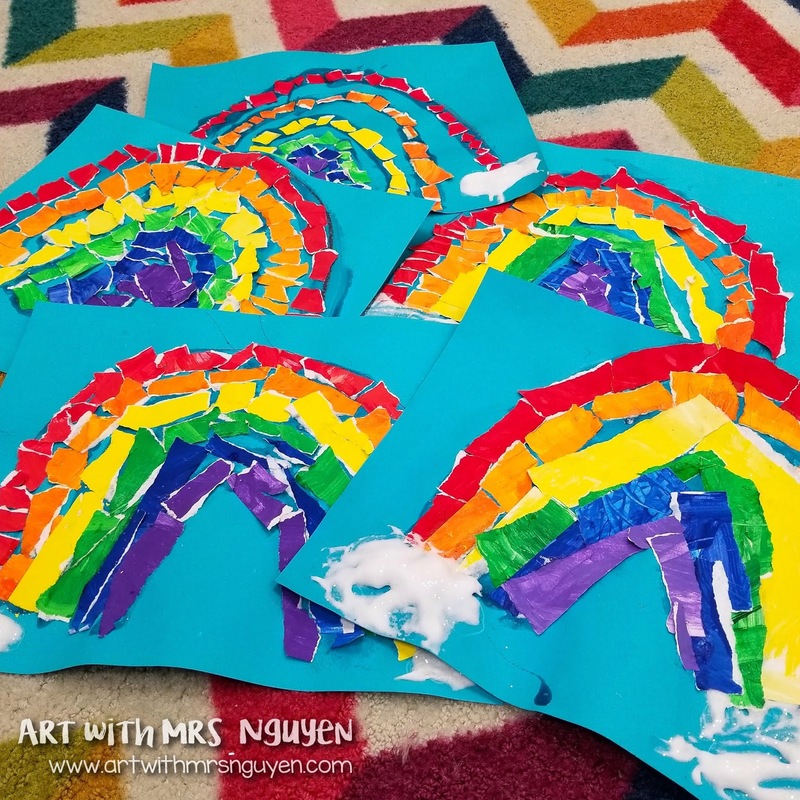 Students used popsicle sticks to scoop up some of the mixture and then patted it onto their paper where they had drawn their clouds. Once they had those on their page we (and by we I mean I) added glitter on top!